When new Prime Minster Michael steps into 10 Downing Street, he is determined to run the country with integrity. Who cares about personality and spin when there are education reforms and housing policies to be agreed? But in Steve Thompson's new drama Feed the Beast, Michael soon discovers that ideals and politics rarely mix. 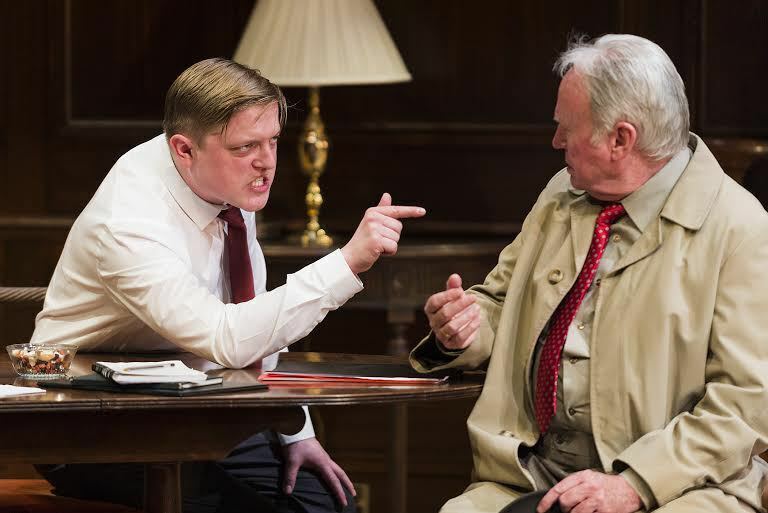 Bearing in mind the proximity of the General Election, this production is an impressively current examination of power, politics and the press. Michael promises he won't kowtow to the media – he will only talk policies and encourage people to be interested in what matters. He swiftly removes his former press officer and brings in an outsider Scott – but discovers that Scott's methods are not quite what he had hoped. Thompson, who has written for television dramas including Silk, Doctor Who and Sherlock, certainly knows how to turn the spotlight onto this sensitive issue, and asks the question of who actually holds the power in the relationship between politicians and press. Gerald Kyd is bullish as Michael. Even as he sees his principles slipping away, he remains determined to try to do the right thing – or look the other way when his colleagues are not. Shaun Mason is a very unlikeable Scott. Here is someone you know would sell his grandma for the right headline and will happily drag anyone through the mud if it helps his cause. Amy Marston plays the worldly journalist Heather, who tries to make Michael realise that he cannot have his cake and eat it – and finally turns on him. 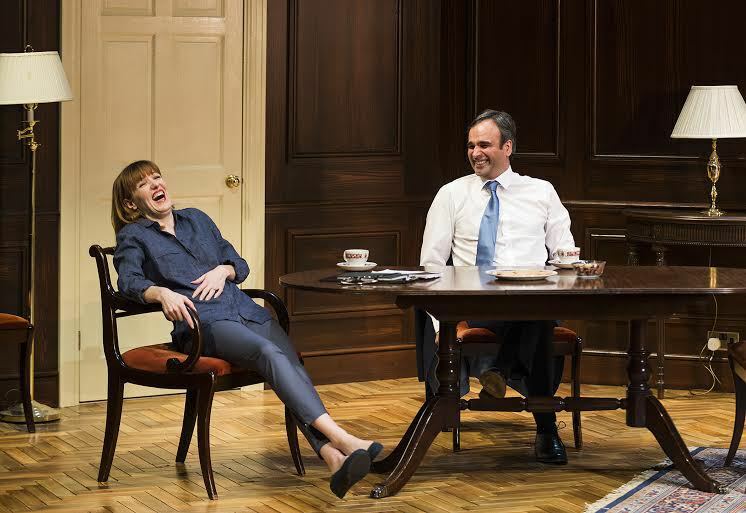 Staged at the Studio space in Birmingham Repertory Theatre, the audience is close to the action and almost pulled into the office. Designed by Libby Watson and directed by Peter Rowe, this is a quick-moving drama with plenty of punchy lines and smart ideas. All the action takes place within Michael's office, which underlies his false sense of security. When the crash comes, he seems to be the only one surprised by it. The audience could see from a long way off that his mission was heading in only one direction.